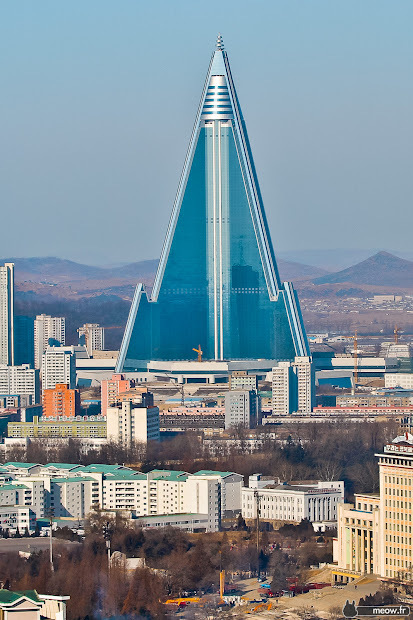 Rising above the skyline of Pyongyang stands the Ryugyong Hotel. 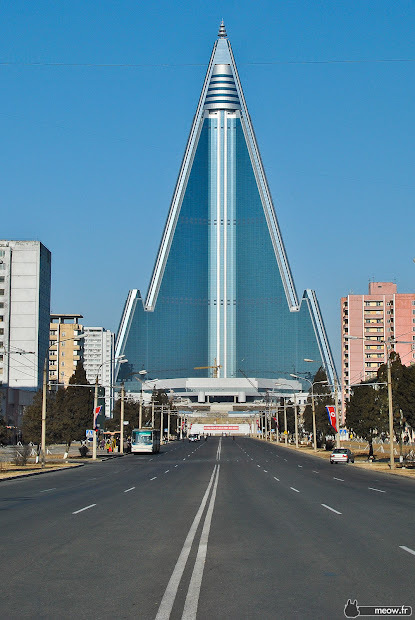 More than twice the height of the Great Pyramids, this pyramid of glass stands as a testament to the accomplishments and failures of the modern-day pharaohs of North Korea.. Construction on the mysterious “Hotel of Doom” began in 1987 under the direction of Kim Il-sung, the Eternal President of the Republic. 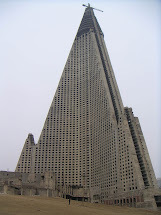 Discover Ryugyong Hotel in Pyongyang, North Korea: North Korea's massive "hotel of doom.". 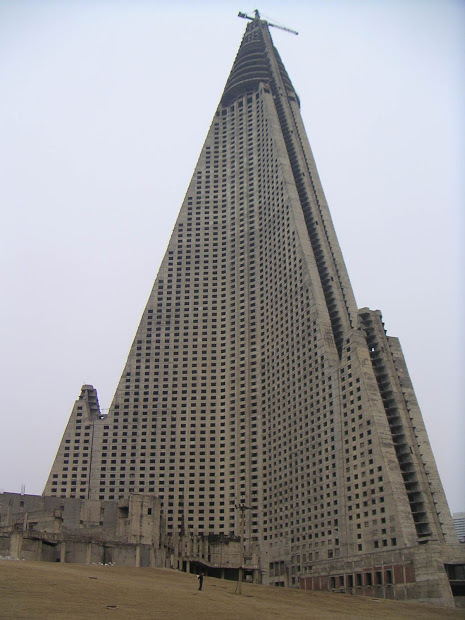 The 1,082ft-high Ryugyong Hotel in Pyongyang, North Korea, the world's biggest hotel, is due to open next summer, an astonishing 24 years behind schedule.